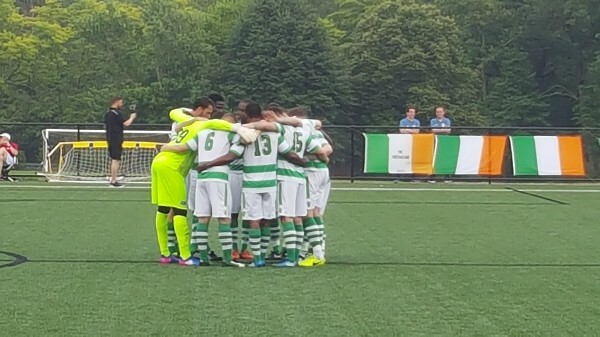 https://m.youtube.com/watch?v=HukFSdzJ7Ek ‌Lansdowne Bhoys are a local, amateur soccer club based in the Bronx/Yonkers area of New York. 2017 has been our most successful year to date and after winning the Eastern Region of the US Amateur Cup and the Eastern Region of the Werner Fricker open national cup, we go on to the National Level Final 4 in August in both competitions in Milwaukee and Detroit. We are appealing for your donations to help us cover the cost of this trip. We are heavily involved in our local community. Founded by Irish immigrants in 1997 we have club members from many different countries and a strong local presence with many of our players coaching at the local junior soccer with our partner club Yonkers United. As the 3 time Cosmopolitan Soccer League champions we believe we are one of the finest Amateur soccer clubs in the United States. Playing at the National championships will be the culmination of years of hard work. Here we will play against L.A Wolves, Bavarian Soccer Club, Florida Kicks. A quick look at the websites of our opposition will show the calibre of club we are up against. As a club it is important to us that we are active in the community and over the years have helped out the Aisling Irish Centre and the cleanup from Hurricane Sandy. Please please please help us reach our goal of $25,000. This will go to covering the cost of flights, accommodation and food for our team on both trips.